During the 90s, most of the bookshops in my area – largely WH Smith – stocked nothing more than the novels of Stephen King, James Herbert, Dean Koontz, etc in their horror section. That was all good and well for someone like me, but what I really loved reading was short stories. And I owned Koontz’s Strange Highways, everything that King had written, and Herbert concentrated solely on novels so I was left frustrated by his lack of short fiction. But the annual release that constantly fed my love of short stories was the Stephen Jones-edited The Mammoth Book of Best New Horror. The name ‘Ramsey Campbell’ – who co-edited the first few – attracted me to the series initially but it was the stories themselves that kept me returning. When I look back over the contents now, I’m struck by how many of the tales have stayed with me over the years. Together with the extensive overview of the industry at the front, these books are among my favourite anthologies of all time. The central library in Sheffield stocked a couple of the Ellen Datlow/Terri Windling edited The Year’s Best Fantasy and Horror series, and I found them to offer an alternative perspective to what Mr Jones was choosing. Or should I say just a wider view of the good stuff. Again I was captivated by the magic of the stories, and it’s testament to their quality that I remember so many of them to this day. At that time I knew nothing of the small presses. I would read the acknowledgements and look at where the stories were originally published, but I was totally in the dark when it came to searching out the publications themselves. It was only when I discovered the internet that I managed to find a way to seek out these treasures. To the eager reader, Google is a great friend, and I hit the websites and warmed up my Paypal account, ready for the onslaught. Several weeks after getting the World Wide Web installed in my home, I decided I wanted to submit some short stories to these places that published so many of my literary heroes. I wasn’t quite sure how to accomplish this, and the only editor’s website that I was aware of was Ellen Datlow’s…so I contacted her asking where she recommended I send a story. She directed me to Ralan.com and my whole world changed. Looking back, I could cringe at what I did. Thankfully she was polite and professional enough to not ridicule me, so in 2006 I managed to get started on the process of submitting fiction. I guess the point of this post is a warm thank-you to Mr Jones and Ms Datlow. Not just for what they represent in the genre, but for the unwavering job they do, and their importance to my reading experience (and to millions of others, I imagine); think of the amount of short fiction they read annually. Much as I love short stories, I’m not sure I’d be able to manage what they do, no matter what I was getting paid. 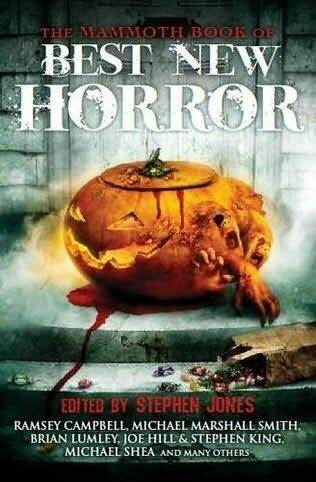 In these tough economic times, when horror seems to have diminished slightly and just a handful of writers occupy the bookshelves, they continue to shine a light on the areas of the horror scene where the best stuff lies. Long may they continue! 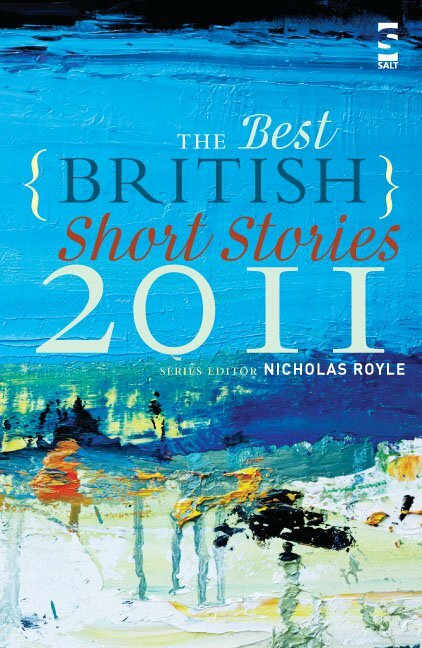 And while I’m on the subject of editors and their dedication to short fiction, I’ve just finished reading The Best British Short Stories 2011, edited by Nicholas Royle (another hero of mine). 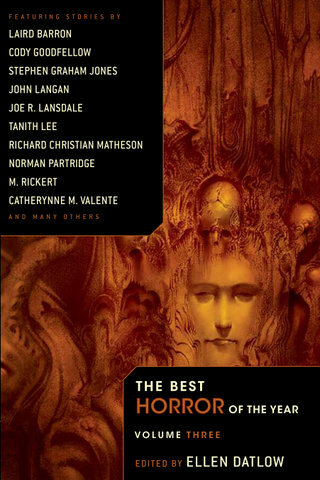 While this reprint anthology ignores genre in favour of elegant quality, I’d heartly recommend it to readers of dark fiction – many of the tales would not be out of place in a horror anthology, and they all share a haunting, resonant theme that lingers long in the mind. Based on this inagural edition, this looks like another annual realease that will prove to be an essential purchase. Stephen, have you got hold of “The Best Horror of the Year Volume 3” as yet? Pete, thanks, yes I have. I haven’t read it yet, but Michael Kelly emailed me to say I might want to have a look. Yep, that’s what I thought. Second para of Summation, bracketed between two talented ladies. I’ve read (and loved) work by both those two ladies, so it was humbling and rather surreal to find myself mentioned in the same sentence, let alone thinking about Ellen’s context!